The discount offer on above cannot be used in conjunction with other promotions and / or be exchanged for cash. Jumpers need to be able to fit into the harnesses to participate. Written parental authorisation is required for clients under 18 years old. Minimum age should be 10 years of age and must fit the harness in order to jump. AJ Hackett Macau Tower reserves the right of all final decisions. Please have your iVenture Card and photo ID ready when purchasing the ticket and during registration. Dubbed as the World's Most Extreme Tower, the Macau Tower Convention and Entertainment Centre is home to the World's Highest Bungy since 2006! This Bungy Jump is at a jawdropping 233 metres high and holds the official Guinness World Record. With its specially designed equipment and recovery system, AJ Hackett provides you the best and only way you can safely jump from a building. Both Standard and Full packages come with one Bungy Jump, exclusive T-shirt, e-certificate, AJ Hackett Membership Card, food and beverage discounts and tower entrance ticket. Night Bungy is also available daily from 6 pm during winter and 7:30pm in the summer months. 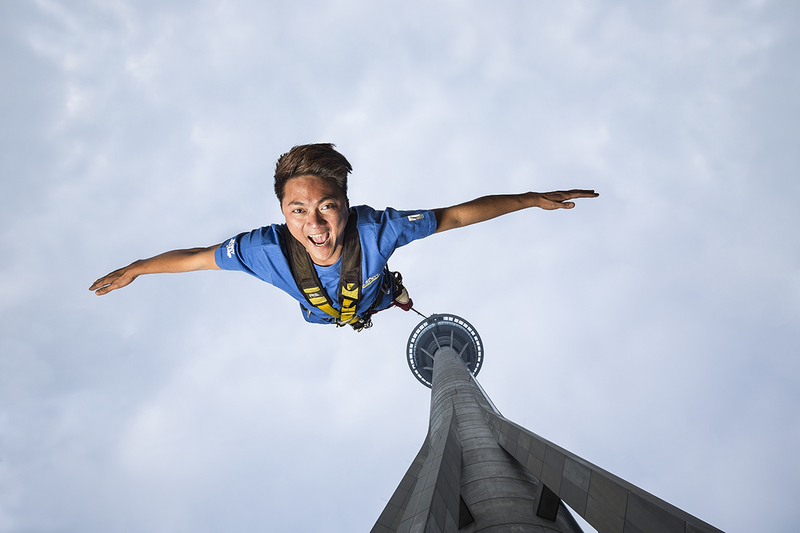 Your Bungy Jump begins with six seconds of free-fall after leaping off the tower. Brace yourself for an additional 4 seconds where the latex rubber Bungy cord stretches before stopping 30 metres above the ground. Then you rebound back up to about 50% of the jump height giving you the most unforgettable thrill of your life. Doing a Bungy Jump is certainly an out of this world experience whether you do it during the day or night. 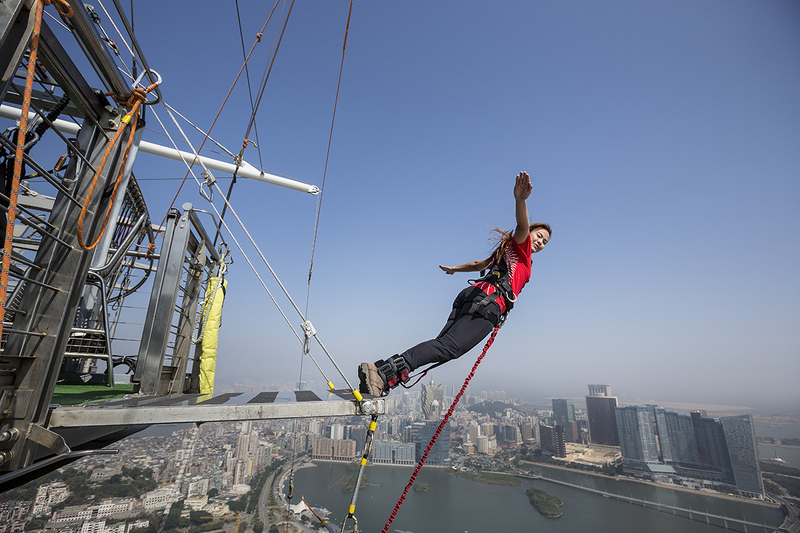 Be amazed at Macau's gorgeous skyline as you take a leap from the tower. If you are availing the Full Package, you can also get photos and video footage of your jump. Tower entry is also included in your voucher which includes access to the observation deck where you can admire the view while you wait for your turn.